A P E K S Co.Ltd. 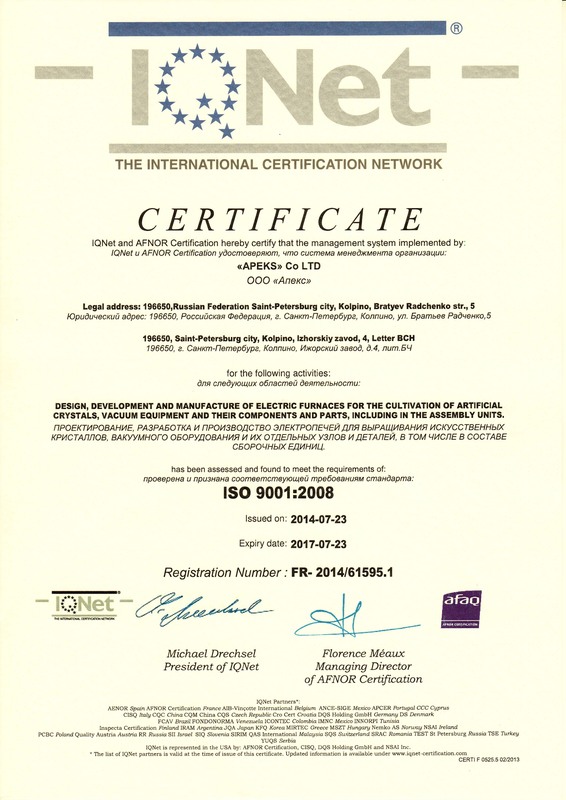 “APEKS” Co LTD is the leading world producer of sapphire monocrystal growing electric furnaces using the Kyropoulos method. We have own machinery production, experienced design engineers, our own experimental sapphire monocrystal growing facility, highly skilled setup group for putting our furnaces into operation at our customers’ production facilities and expert growing technologists which train our customers to grow sapphire monocrystal. 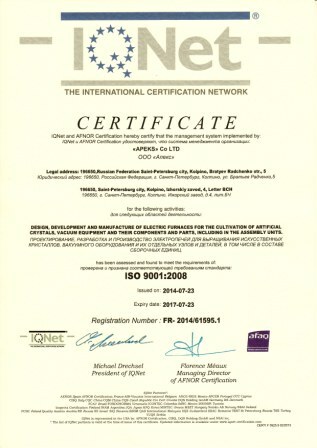 Seeking to strengthen the leading position in the market among the manufacturers of sapphire crystal growing furnaces, flexibly reacting to the requirements and preferences of our customers, “APEKS” Co LTD modernizes production, increases a share of own technologies, improves management of processes and increases productivity of quality management system. 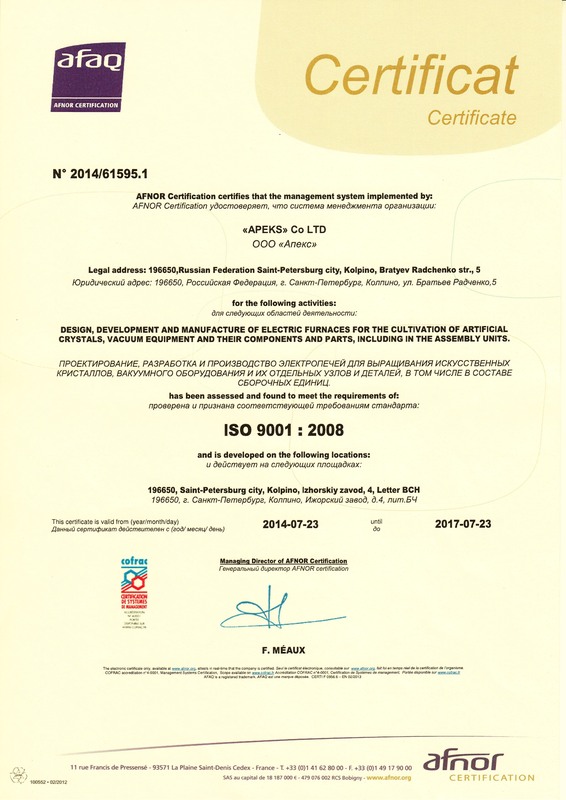 “APEKS” Co LTD is certified to ISO 9001:2008 management system standards, and it helps us to satisfy our customers’ demands to the fullest extent. 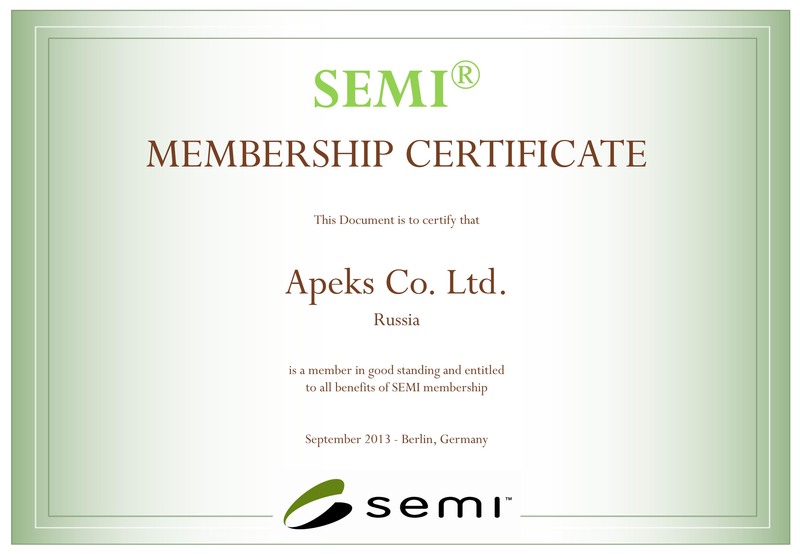 In more than 20 years in existence “APEKS” Co LTD has proved its worth all over the world as the reliable and long-term partner. 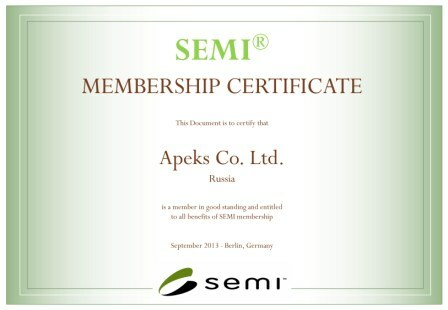 Apeks Co LTD is the member of SEMI (the global industry association serving the manufacturing supply chain for the micro- and nano-electronics industries, including semiconductors, LED, Flat Panel Display (FPD), etc. ).